Getting sick is never fun, but it’s especially annoying—or worse--on vacation. Traveling can be hazardous to your health, since eating and sleeping schedules are often different from your usual times. 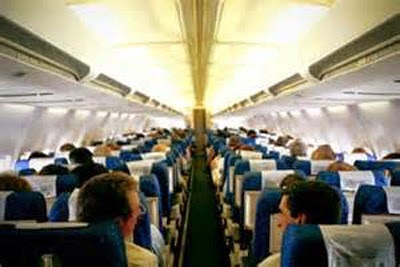 You’re likely to be exposed to new germs, and re-circulated air during flights can be dehydrating . All of these things can weaken your immune system and leave you vulnerable to illness. It’s especially important to be vigilant about healthy practices during the winter cold and flu season. If you’re traveling, keep these tips in mind. Get plenty of rest prior to leaving, and sleep enroute, if possible. At your destination, try to get on schedule quickly and continue to get sufficient rest to allow recovery from the stresses of travel. Having a flu shot a few weeks prior to leaving can lessen your chances of getting the flu. Wash your hands regularly. It’s the single most important thing to do. Your hands touch so many items and surfaces that strangers have also touched, but keeping hands clean (and away from your face) can help you avoid another person’s germs. Clean surfaces with antibacterial wipes, including arm rests and seat trays on airplanes and other public transportation. If you’re feeling even mildly ill, help prevent the spread of germs by wiping down surfaces you touch. Drink water. Skip sodas and alcoholic drinks that can further dehydrate your body, especially when flying. 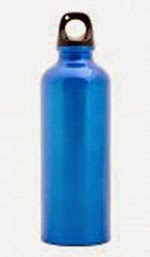 Bring an empty bottle through security and fill it up once you’re at the gate, so you’re not dependent on flight attendants’ serving times. Bring basic first aid supplies. In addition to prescription medications you might require, include bandages, pain reliever, eye drops, nasal spray, anti-diarrhea pills, decongestants, antacid tablets, antibiotics, and motion sickness pills. A pack of tissues also comes in handy—and use one when you must cough or sneeze. Then wash your hands. 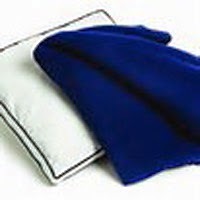 Bring your own travel pillow and blanket on long flights. Despite being placed in plastic bags, the pillows and blankets on airplanes are not cleaned after every flight and could harbor germs from the previous user. Your own might also come in handy in hotels. Ask to change seats when someone next to you is coughing or sneezing. If you’re particularly susceptible to germs, wearing a face mask might be an effective alternative. Check out the cool, comfortable, and fun masks at Tutem. Move around. Whether traveling by car, train, bus, or plane, walk around when you can, or exercise at your seat if you’re stuck there awhile. Moving your body helps with circulation, and it can prevent deep vein thrombosis or blood clots in your legs. Besides, you’ll feel better.